Patrick Yaadar is a screenwriter-Film Director and journalist. 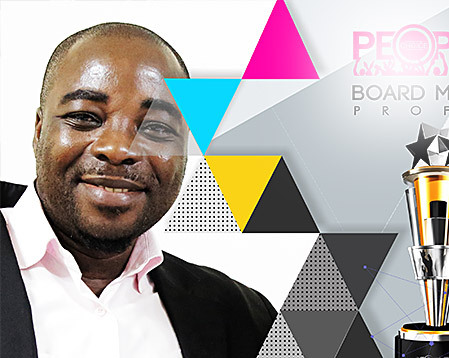 He holds a BA in Communication Studies from the University of Ghana and Diploma in Screenwriting/film directing from the National Film and Television Institute (NAFTI). He was one of the pioneering producer-directors at TV3 Ghana, producing the primetime Entertainment show, “Goldblast”, for two years. Since year 2000 he has been making feature and documentary films for media outlets and corporate organizations. His latest film “Slaveboy” which featured Patience Ozorkwo, won Best African Collaboration Award at the 2013 Ghana Movie Awards. In 2014, his screenplay “Off The Hook” was nominated for best Drama Award in the Africa Magic Viewer’s Choice Awards (AMVCA). Some of the other films he has produced and directed are Awieye (2004), Dea Onyame Aka (2006), The Salon-TV series (2006), Kweku Babone (2011) and I Hold unto Him (2012). He spends his leisure time reading novels and watching movies.